18 years in Japan and I still find amusing when we get food parcels in the post. 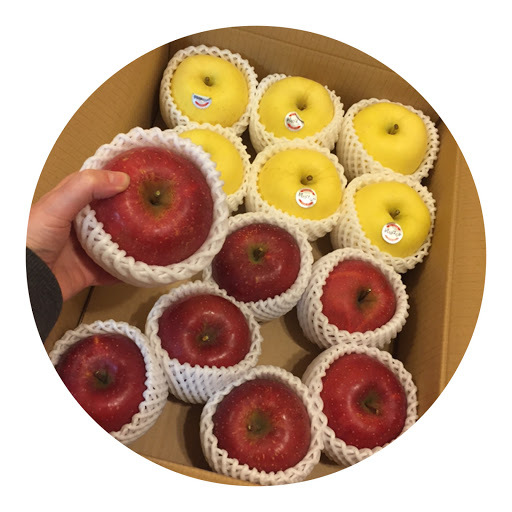 This week we got a box of delicious apples from my Japanese mom - who is not my mother-in-law, she was one of my students when I lived in Iwate. She's about the same age as my mom and became my surrogate mom for the two years I lived up there. As you can see, they are good sized apples! And too delicious to cook with, so it will be an apple a day for theft 2 weeks!